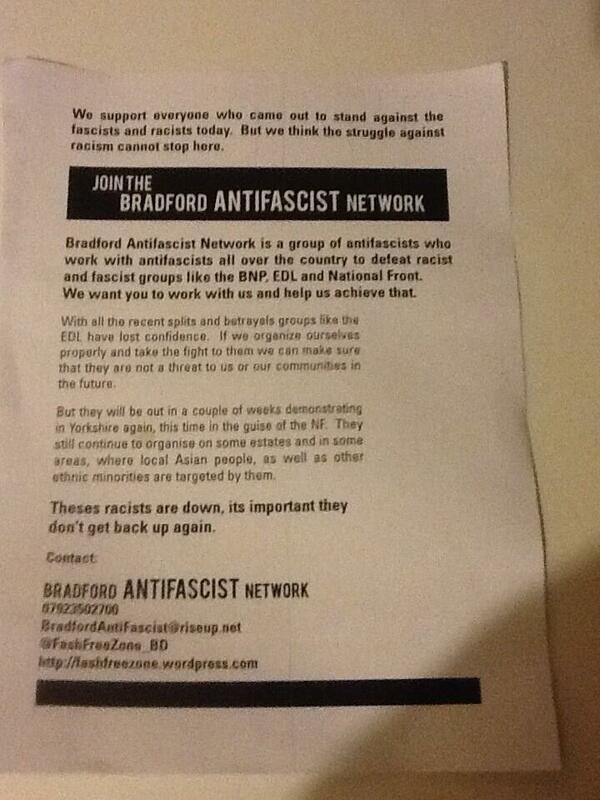 EDL’s Bradford hate tour an overwhelming success for anti-fascists, a humiliation for the EDL. For all their bluster about Bradford being the BIG ONE less than 250 English Defence League braved the Yorkshire rain to try start their race war in the city. They didn’t stand a chance, the Police were out in force but so were the people of Bradford. Around a 150 went into the official demonstration area run by the UAF and were kettled there far away from the EDL but a similar number of Antifascist activists along with perhaps 300 other locals went into the streets to face the EDL and voice their anger at their city being invaded by these bigoted, racist, nut jobs. The EDL were drowned out as Anti-fascists and locals mocked their chants and raised their voices with their own. The streets of Bradford truly belonged to the Bradfordians and there was a festival feeling as even the cops couldn’t help but smile at the humour of the diverse crowd reworking football chants and singing anti-fascist songs together. 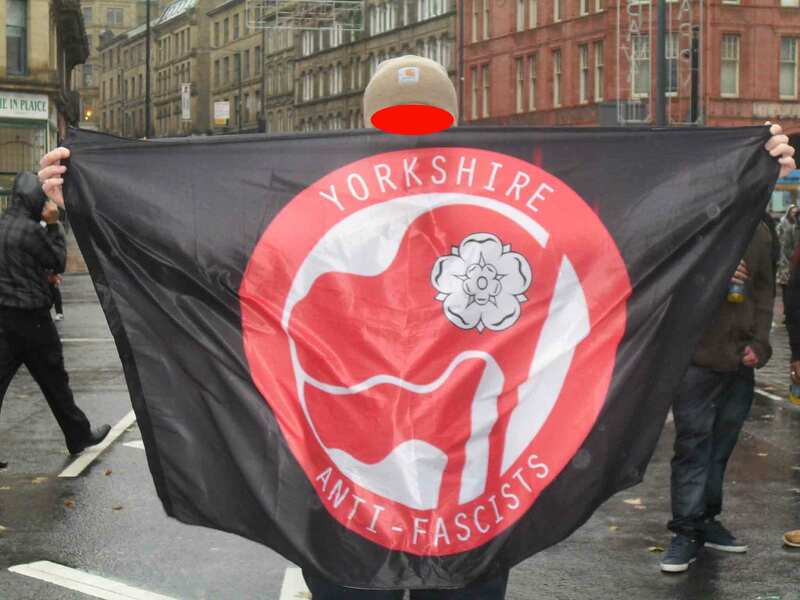 Bradford Anti-fascist Network was at the fore of the protest and our members were cheered by other locals as we shouted down the vile EDL. We handed out 200 leaflets on the day calling for the anti-fascist mood to be carried over into other actions, which was positively received. After only one hour of speeches the EDL after fighting against one another yet again were corralled back into their coaches and shipped out of the city, their tails between their legs. Afterwards some of them tried to hang around the interchange but they were met with militant opposition by anti-fascists and they quickly ran away. This was an overwhelming victory for anti-fascism in the city and the EDL unheard and driven away by locals were humiliated but this is not the end of the story, it is in fact just the beginning. We must build anti-fascism in the area and offer mutual aid to other cities facing similar far right groups. Join us and get involved in keeping groups like the EDL in the gutter where they belong.